The need for operator and maintainance intensive gas chromatograph (GC) analyzers was eliminated. Customer can now deploy all-optical, unattended sensor system for monitoring the composition of hydrocarbon gases (C1-C5) exiting the well bore which provides crucial information about the drilling formation that would save time and money. By GN Decanter Centrifuge Ltd based in Hebei, CHINA. The SafeGuards line of spill containment includes specialty berms developed specifically for offshore rig use. If you have a containment issue, we`ll work with you to solve that containment concern. 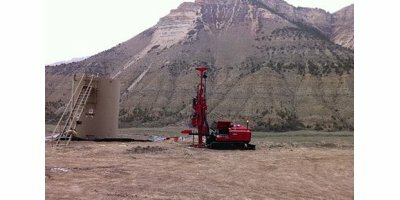 Due to the continued growth in the oil & gas industry, we are seeing an increased demand for mobile sewage treatment solutions for oil exploration and drilling rigs in remote locations. BioSolve Pinkwater is used for cleaning/decontaminating tools and equipment at remediation sites, in refineries, on drilling rigs, following spill cleanup, and in industrial maintenance operations. Generally applied with standard pressure washing equipment. Most oil and tar build-up can be washed away on contact. For more severe contamination, use of a hot water system may yield better results. By The BioSolve Company based in Lexington, MASSACHUSETTS (USA). We can offer a multitude of solutions to meet the expectations of specialized merchant marine vessels, offshore drilling operations, national defense and heavy industry, thanks to our high-performance equipment and qualified manpower. IST Pure has participated in diverse repair and improvement projects for different types of buildings, drill rigs and ocean platforms such as oil tankers, container vessels, fishing and military vessels, ferries, as well as self-raising or semi-submersible drilling platforms. Offshore installations, whether it’s a drilling rig, production platform or FPSO, have some of the most testing operating environments possible. Operators must combine the drive to efficiency with their environmental commitments. Whatever analyzer you choose should not only match your needs and add value but must not take up valuable resources whether that’s personnel or consumables. By Advanced Sensors Ltd. - part of PAC L.P. based in Carrickfergus, UNITED KINGDOM. The two main areas in the oil and gas market are upstream operations such as exploration, recovery, storage, and transfer and downstream refining operations. Exploration for oil and gas includes offshore drilling rigs and land rigs. Downstream production includes the cracking of oil into transportation and fuel products and a variety of petrochemicals.